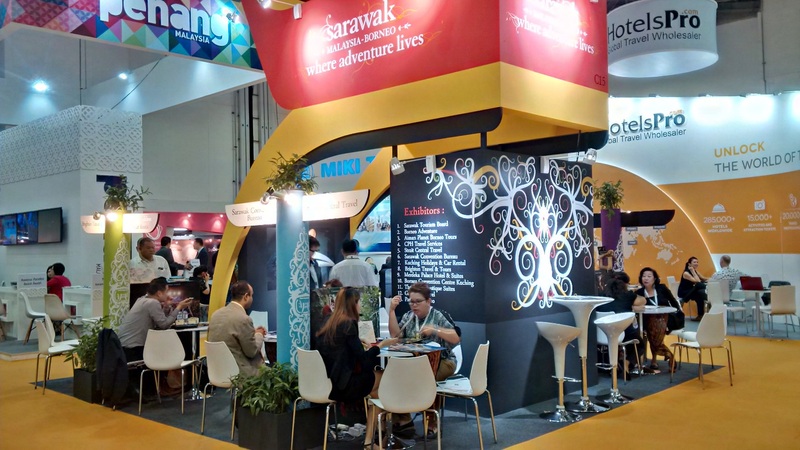 Sarawak delegation comprising twelve industry partners has expressed satisfaction with the outcomes from the recent outing at ITB Asia 2016, indicating they are most definitely going to participate again next year. Satisfied with the buyers’ quality met during the set appointment by organisers, they expressed satisfaction with the overall organisation and Sarawak brand prominence at the three day fair. With a significant interest from eight industry members in which participated in the fair in 2015, this year additional four partners joined the Sarawak booth thus putting on the shelves for buyers a more diverse packages including the cycling and kayaking tours. Sarawak also hosted a cocktail reception on Thursday, October 20 with the presence of the Assistant Minister of Tourism, Datuk Lee Kim Shin, who was present to extend support to the industry partners throughout the whole three day of the fair and at the same time joining the engagement sessions with Singaporean tourism partners. Sarawak Tourism Board (STB) was invited to be part of the 2016 World Music [email protected] which was a government-supported event by the Ministry of Culture’s Bureau of Audiovisual and Music Industry Development, Taiwan from October 21-23, 2016. STB was represented by the Director of Events & Corporate Relations, Angelina Patricia Bateman. Angelina together with two speakers, Eunha Kim of Asia Culture Centre, Korea and Franki Raden, prominent Indonesian composer, ethnomusicologist, cultural critic and festival organizer were given the opportunity to present about ‘The Practical Details of Presenting a Music Festival’. “This was an inaugural festival and it was a great opportunity for us to share our experience in organizing the Rainforest World Music Festival,” said Angelina. Besides presentations, there were showcase musician performance from Taiwan, USA, Portugal, Japan and China. 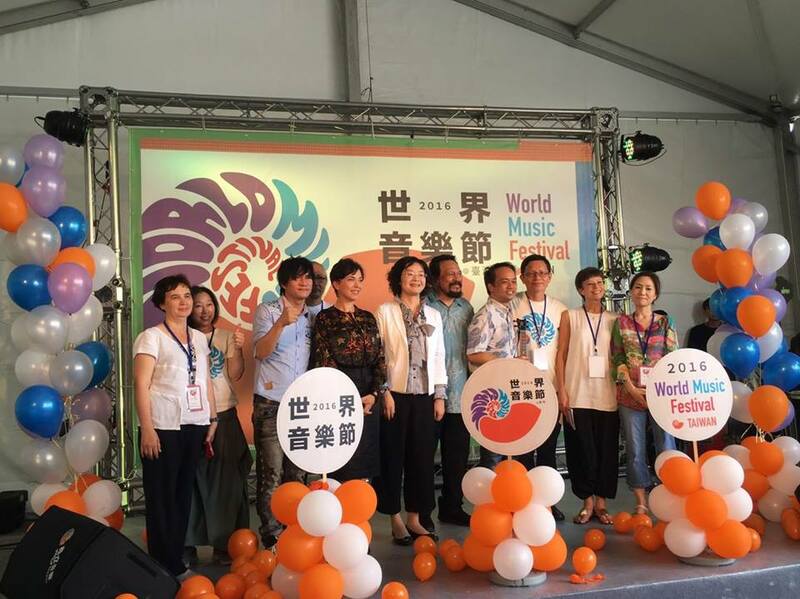 “There will be a small committee of Asian World Music Forum to be set-up to share ideas and bands exchange for the festival within the region,” added Angelina. Sarawak Tourism Board (STB) is presenting the 20th installment of its annual event, the Rainforest World Music Festival (RWMF) in World Music Expo (WOMEX) in Santiago de Compostela, Spain from October 20-23. The RWMF will be celebrating its 20th edition next year at the Sarawak Cultural Village in Damai, on the 14-16 July, with plans on making the Festival celebration bigger than ever. With the interactive afternoon workshops, the audience has the opportunity to learn, understand and play the indigenous musical instruments from the performers during the day and later on witness and appreciate its beauty during the nightly performances. As a supporter of all ethnic arts, including the culinary arts, festival-goers are able to taste a variety of local and fusion cuisine from the Village Food Mart. They will also be able to buy local beaded, woven, painted or carved handicrafts or witness their creation, or even get a traditional hand-tap tattoo at the nearby Tattoo Expo. The festival, one of its kind in the region, has attracted over 20,000 returning foreign and domestic attendees and has been awarded Songlines’ Top 25 Best International Festivals award six years in a row since 2010. 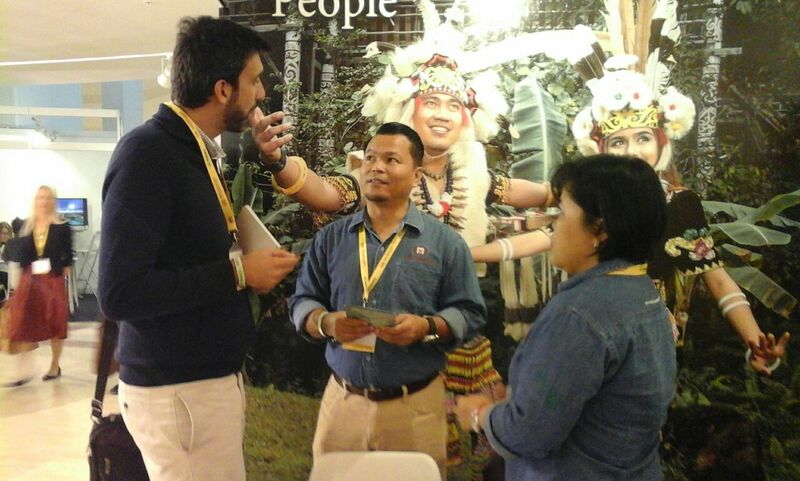 “More innovative ideas are already in the works for our coming 20th Rainforest World Music Festival next year.” said Angelina Bateman, Director of Events & Corporate Relations of Sarawak Tourism Board (STB). While the performance plans remain a surprise, the Board’s efforts in publicising the Festival are not, with promotions happening at various tourism and travel trade fairs around the world such as ITB Asia in Singapore, World Travel Mart in London, Taipei International Travel Fair in Taiwan and the Asian MICE Forum in Taiwan. The Festival encourages the appreciation of ethnic art and music from around the world, as well as new interpretations and integration of those arts within modern expression, and it is now brining these values to the world stage. Updates on the Festival as well as tickets can be found online at the Rainforest World Music Festival official website, www.rwmf.net. This event is supported by the Ministry of Tourism and Culture Malaysia, Ministry of Tourism, Arts and Culture Sarawak (MTAC) and endorsed by Tourism Malaysia with Malaysia Airlines Berhad as the presenting sponsor. The century old Buso bazaar and its surrounding village will be another heritage attraction for the State. Located about 45 minutes’ drive from the city centre, the attractions include wooden structure shop houses and a typical river boat ride connecting the town from the main road. Buso town is of historical significance, of which among others, it was a place of refuge during World War II. The town is mainly populated by a mixed racial composition of Chinese, Malays and Bidayuh communities. 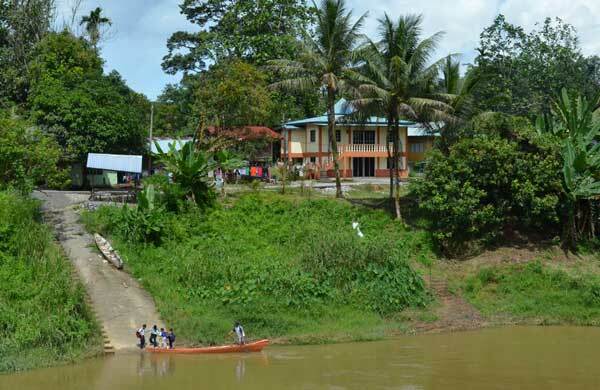 Photo shows Kampung Seberang Buso – a Malay village across Sungai Sarawak Kanan. Photo credit to Borneo Post. The Semenggoh Wildlife Centre once again received an overwhelming news by having a second bundle of joy, a baby orang utan. 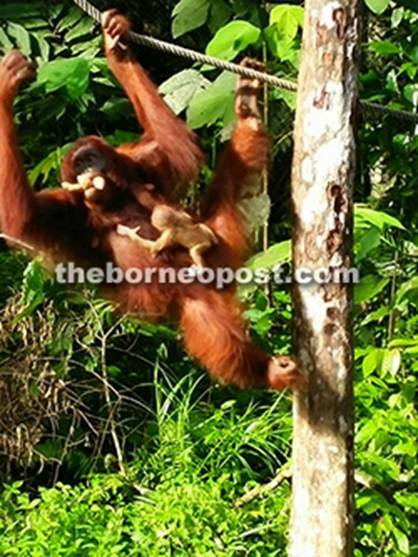 The Sarawak Forestry Corporation (SFC) announced that the 12-year old mother, Selina showed up at the feeding platform in the afternoon of October 9 with her first offspring. She was last seen on October 2 and she was seen with a male baby clinging onto her. On September 16, Semenggoh Wildlife Centre has earlier welcomed a new member of a baby orang utan whose mother is Analisa. 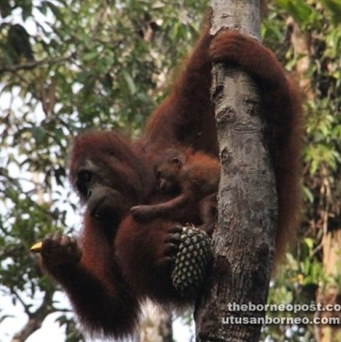 With the two new born, Semenggoh Wildlife Centre now has 28 orang utans with 17 were born at the centre. The centre is open for a visit during the morning from 9am-10 am and afternoon 3pm-3.30pm. Sarawak Tourism Board’s Acting Chief Executive Officer, Mary Wan Mering and Director of Marketing Benedict Jimbau have recently been awarded the silver Meritorious Service Medal by the state of Sarawak. The award is one of four Civil Administration Medals awarded to those who have rendered exceptional services to the state or Federal Government of Malaysia’s Civil Service. Mary Wan and Benedict Jimbau have shown unceasingly exemplary service to the Sarawak tourism industry through their efforts in the Sarawak Tourism Board and promise to continue to do so. In a new Borneo cycling itinerary, the “fort-to-fort” project and trail has been developed by the state’s Ministry of Tourism, Arts and Culture (MTAC) and organised by Paradesa Borneo, to identify a heritage route six out of 20 forts, linked to the legacy of the Sarawak White Rajahs from over 105 years ago. 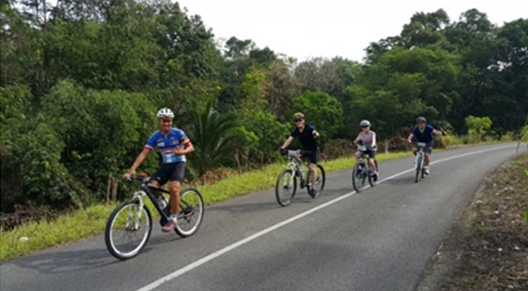 The bike trail, marketed as “Cycling the Heardhunter’s Heartland”, follows the trail from Kuching to Batang-Ai, exploring the heartland of the legendary Dayaks along the way. Once feared as the Headhunters of Borneo, the Dayaks are known for their fearlessness and their daring battles with the White Rajahs, leading the Rajahs to build a string of forts to defend their territory. Paradesa Borneo, the organisers of this new bike trail, is an adventure travel company that specialises in cycle tours throughout Sarawak with 16 unique bike tours under their belt, ranging from short half-day trips through city heritage sites as well as cross-country cycling adventures such as the Fort-to-Fort trail. The adventure travel company also offers kayaking, caving and hiking tours around Sarawak in addition to its core products for cycle tourists. The Semenggoh Wildlife Centre is calling out to the public to propose names for the three-week-old Orangutan baby born on September 16 at the centre, located roughly 20km from the capital city of Kuching. “Orangutan do respond to their names but we have yet to decide on the name. They are 90 per cent similar to humans, so they know when we call them by their names,” the centre’s manager Chong Jiew Han mentioned. Chong added that the baby’s gender has not been determined, as the protective mother has kept out of sight and reach these past few weeks, therefore those who wish to suggest a name are asked to opt for a gender neutral name, possibly depicting a patriotic theme as the baby orangutan was born on Malaysia Day. The suggested names can be sent to the Sarawak Forestry website (www.sarawakforestry.com) until the closing date on Nov 20, when the name will be decided by a selected panel and later announced during the Centre’s annual dinner on November 25. The Brooke Gallery at Fort Margherita, was officially opened on September 24 coinciding with the 175th anniversary of the founding of State. Housed in a Fort named after James Brooke’s wife, Rani Margherita, the gallery’s irreplaceable historical documents, artefacts and arts from the White Rajah’s era, wrapped in steep history and preserved in time. The gallery also includes new addition such as a portrait painting of Rentappainted by the local artist, Alena Murang, depicting the man who was a hero to some and a villain to others. 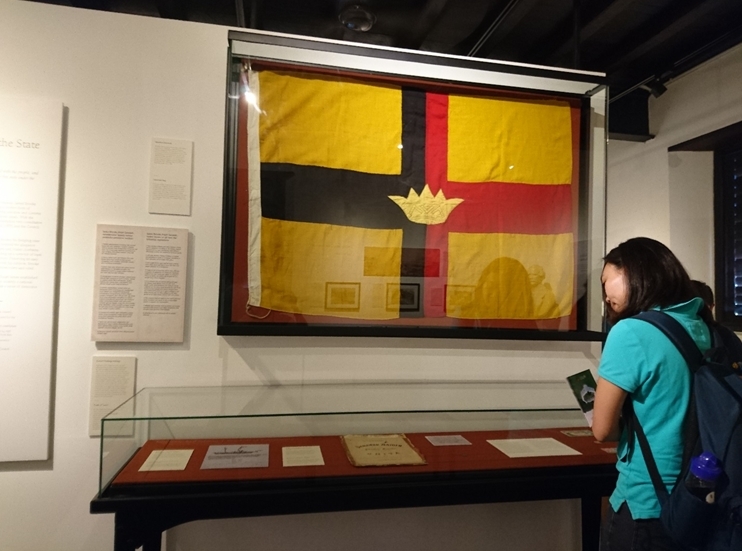 This gallery was a joint project of the Sarawak Museum Department, Ministry of Tourism, Arts and Culture as well as Mr. Jason Brooke, the grandson of the last Rajah Muda and the Director of The Brooke Trust. Old Siniawan town, located in the Bau district about 30 minutes’ drive from the city will be gazetted as a ‘Heritage Area’. With the gazetting process underway, Siniawan will soon be “linked” to the State’s Brooke Heritage Site and Brooke Gallery in Fort Margherita, of which all these sites will be upgraded to be turned into a new tourism product. 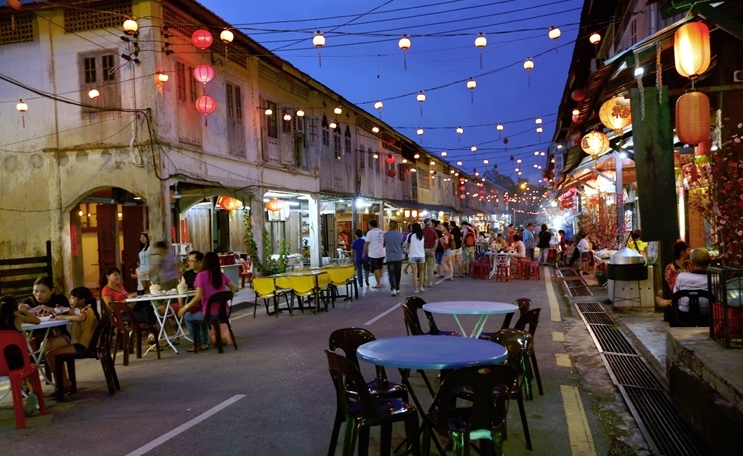 Siniawan, was among the locations for many key battles during the Brooke era and has gained popularity over the years for its weekend night market with its rustic setting attracting locals and tourists alike to sample its wide range of local food and beverages.